Chicken bone broth is my new go-to! I’m going to teach you how to make bone broth easy peasy and break down some of the benefits in this post. One of my favorite routines on meal prep Sunday is to cook a whole chicken or make pressure cooker chicken soup then take the bones of that chicken and use it to make bone broth. Joint Health: This 24-week study showed that athletes who supplement with collagen hydrolysate had an improvement in joint pain. Gut Health: This 2012 study showed that gelatin (found in bone broth) supports intestinal health and integrity. Skin Health: This double-blind placebo test showed collagen to improve skin elasticity aka slow down the signs of aging. Sleep Quality: Glycine (found in bone broth) was shown to improve sleep quality in this 2012 study. Detoxification: This study on rats found glycine supplementation to have significant improvements in recovery from alcohol-induced fatty liver disease aka glycine is helpful for removing dangerous elements from the liver. Overall, bones from animals are rich in calcium, magnesium, potassium, and phosphorus and full of essential and non-essential amino acids. Place bones in instant pot. *If you are making bone broth on a stove, bring water to a boil and simmer for 24-72 hours. Can bone broth be made in a crock pot? What temp setting and how long? 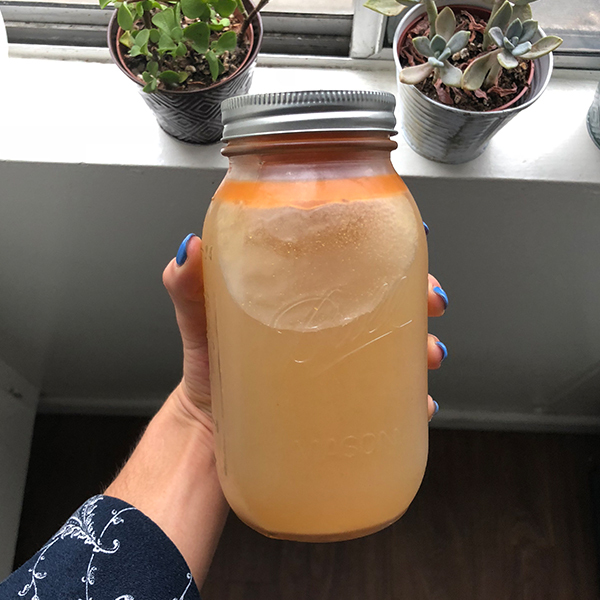 How much filtered water do you normally use for the bone broth?? You can totally skip the onion! That is just for flavor. Use any veggies you like. Whatever bones you have access too is fine. I used cooked ones because I have already cooked the chicken and use the leftover bones but either way works. Roasting the bones or cooking them just often improves flavor but you definitely don’t have to do that.